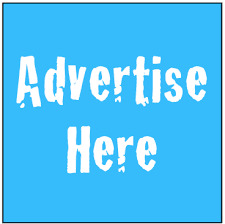 New from WWE, 'Randy Savage Unreleased: The Unseen Matches of the Macho Man' is a three disc DVD set that provides die-hard Macho Man fans with a glimpse at some rare matches never before released on DVD and, in a few cases, matches that have never aired anywhere. Covering the entirety of Macho's run in the WWF from his debut in 1985 to his departure in 1994, the set also touches on his time at rival promotion WCW and in total has over forty matches on offer. 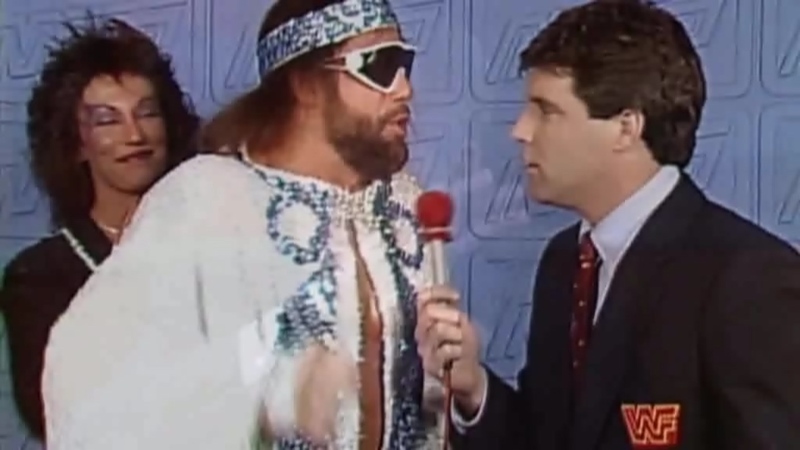 These are interspersed with clips from a round-table discussion hosted by Corey Graves (a self-confessed Macho Man fanatic), with guests Bayley, WWE Hall of Famer Diamond Dallas Page and legendary WWF announcer Sean Mooney, providing anecdotes about the Macho Man, as well of context for and remembrances of his legendary career. The first disc contains some of the most interesting matches on the set, although many are short affairs with the fledgling WWF Superstar Randy Savage mostly facing enhancement talent, but it's an era of the Macho Man's career that is rarely highlighted. It's great to see the Macho Man at this point, already in his prime and being treated as such in his WWF debut against Aldo Marino (a young Ricky Santana) as the WWF's ensemble cast of managers come out mid-match to watch the promotion's newest hot prospect have his hand raised in victory, and to vie for his contract. There's also a short match against perennial jobber Mario Mancini and another against a young Paul Roma, before the set talks about Macho's decision to have Miss Elizabeth as his manager and how that changed the dynamic of the character. While a lot of fans will have seen Randy playing the bad guy with his cartoonishly unhinged 'Macho King' persona, perhaps they'll be less familiar with the early incarnation of the Macho Man, who cowardly puts Miss Elizabeth in the line of fire and routinely demeans her in public, which drew great ire from crowds at the time. This we see in the next few matches, as Randy faces more enhancement talent such as Scott McGhee and Troy Martin (a young Shane Douglas), teams with Jesse 'The Body' Ventura, puts in a good shift against the up and coming Tony Atlas and defends the WWF Intercontinental Title against Pedro Morales. Next, the set turns to Macho's famous rivalry with Ricky 'The Dragon' Steamboat and we get treated to a never before seen house show version of their fantastic Intercontinental title match from WrestleMania 3. The set then fast forwards a year to Macho Man as Undisputed WWF World Heavyweight Champion, defending his newly won title against Ted DiBiase in a steel cage. Savage, now a huge fan favourite, has changed his attitude towards Miss Elizabeth by this point, far more complimentary of her ability as a manager and the role she plays in the Macho Man's success. The next match is a largely forgettable title match against Akeem (who the ring announcer introduces as One Man Gang), that's notable for the fact that it came from the WWF's first ever visit to France. Although broadcast live on Canal+ in France, this is the first time the match has been internationally available and, while not a great match, the crowd are electric and the scale of the celebration for Macho's victory to close out the show is impressive. Disc two picks up shortly after the implosion of the Mega Powers, Macho Man is once more somewhat reviled by large portions of the crowds and in the first match on this disc he defends the WWF Intercontinental title against a wildly popular new superstar in the Ultimate Warrior from a 1989 house show in Chicago. Next, the set covers the introduction of Sensational Sherri as the Macho Man's new manager and, over the course of the next series of matches, we see the much more direct influence Sherri had in Randy's bouts compared to Elizabeth. Firstly, there's an entertaining WWF title match from Toronto that sees the Macho Man go one on one with Hulk, before a somewhat less exciting match vs Brutus the Barber Beefcake. The Macho King vs Hercules match is surprisingly fun, but is followed by a farcical mixed tag with Macho & Sherri vs Dusty & Sapphire, with Miss Elizabeth. The set covers Macho Man's feud with Jake 'The Snake' Roberts and subsequent forced retirement, which leads into his campaign to be reinstated by WWF President Jack Tunney. The next match is a never before seen six man tag from December 1991, as Savage teams with Roddy Piper and Hacksaw Jim Duggan against the team of Ric Flair, Jake Roberts and The Undertaker! Then, another never before seen match as the Mega Powers reunite for the first time in two years to take on Jake Roberts and The Bezerker. We jump forward post-WrestleMania VIII to now two-time WWF World Heavyweight Champion Randy Savage teaming with The Undertaker to face Flair and The Berzerker, before heading onto a solid pair of singles matches against Razor Ramon and Terry Taylor to close out disc two. Disc three starts with the absolutely '90s-riffic 'Gets Your Heart Pumping' music video WWF produced for the Macho Man, as well as some great blue screen outtakes from its production before getting on with the matches. Unfortunately the quality isn't terribly high in this last gasp of Randy's WWF career, after a solid match against Yokozuna there's a plodding singles bout against Lex Luger, an entirely forgettable match against Mr. Hughes, a Macho & Perfect vs Hughes and the awful Giant Gonzalez and a short match from Monday Night RAW with Randy taking on Fatu before the set heads into WCW territory. Randy's WCW work was a mixed bag, and there's not exactly many 'must see' matches in this portion of the collection, but still a few cool bouts here and there such as Randy vs 'Stunning' Steve Austin, or taking on Kurasawa (a young Manabu Nakanishi) or facing off against Sir Robert of Eaton. 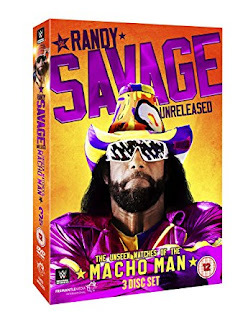 Overall, while this set most definitely can't be considered a 'best of', it's a solid accompaniment to the WWE's other Randy Savage DVDs 'The Randy Savage Story' and 'Macho Madness - The Ultimate Randy Savage Collection'. It's great that newer fans can get a taste of the earliest days of the Macho Man in WWF, as well as seeing him at the peak of his abilities and the matches on offer from later in his career provide a few nice highlights and some notable oddities. Also, it's cool to see a bunch of promos and video packages here, including the great 'Macho Lifestyles' segment that saw Mean Gene take a trip to Randy's home for a candid interview. I'm not a huge fan of the round-table format and think a 'talking heads' approach with a greater cast of characters would've been better, although Corey Graves does a good job as host and DDP and Sean Mooney both provide some great insight.